Opponents of immigration argue that immigrants commit more crime. There is considerable debate about this matter. However, getting beyond the specifics of the debate is a deeper moral question: if a certain identifiable subgroup of the population has a higher crime rate than the population at large, and that subgroup of population “originated” from some other country, is it acceptable to “deport” them to that country? In the United States, Hispanics have a somewhat higher crime rate than non-Hispanic whites, whereas blacks have a notably higher crime rate than both Hispanics and non-Hispanic whites. (Other groups, such as East Asians and Indians, have crime rates equal to or lower than those of whites). See Wikipedia’s page on race and crime for background information. Restrictionists look at the somewhat higher crime rates of Hispanics (many of whom are “second-generation immigrants”) compared to non-Hispanic whites, and conclude that illegal Hispanic immigrants must be deported back to their countries of origin. But if one accepts this logic, then an even more reasonable proposal would be to consider mass deportation of blacks to Africa. As opponents of deportation and border controls in general, this website does not endorse any kind of proposal to deport African-Americans. In the modern world, few would seriously consider a proposal to deport members of one social group based on ethnicity, religion, or any other similar characteristic, simply because they collectively may have higher rates of crime or other social ills. The “deportation to Africa” analogy uses the rhetorical technique of reductio ad absurdum to observe that immigration is apparently an exception to the otherwise commonly-accepted view that it is unacceptable to punish an entire community or social group for the wrongs of only some of its members. 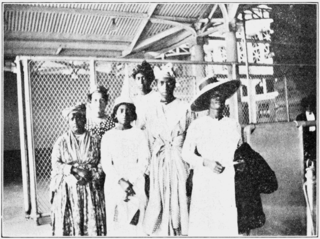 The image featured at the top of this page is of immigrants from the West Indies awaiting processing at Ellis Island in New York, 1912. Found on the Wikimedia Commons, photographer unknown. Deportation to Africa is licensed by Open Borders Admin under a Creative Commons Attribution 3.0 Unported License.